Over 240 distinguished guests flocked to Le Windsor last Tuesday evening to make a causal fashion statement at the CCAC’s annual fundraising gala, which raised approximately $150,000. The funds raised will be put towards colorectal cancer awareness, education, patient support and programs promoting primary prevention, screening and equal access to effective treatments to improve patient outcomes. 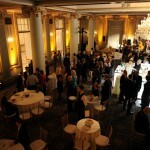 The event held true to its title, as sophistication and opulence filled the air. 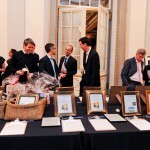 Attendees, dressed to the nines, perused luxurious silent auction items and nibbled on delectable canapés during the cocktail-dînatoire, while being treated to the musical stylings of the Moondance Jazz Trio. Quebec media figure Lorraine Cordeau hosted the event. Her late husband, Canadian singer, musician and producer Georges Thurston, known as “Boule Noire,” was the CCAC’s spokesperson. 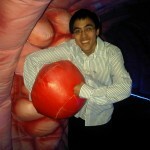 Diagnosed with stage 4 colorectal cancer with metastasis in 2006, Thurston spent the last year of his life publicly speaking about the symptoms of the taboo disease. 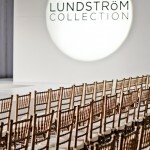 The European style fashion show featured 33 Lundström outfits in its Quebec line premiere. Artistic Director Hans Koechling masterfully compiled the evening’s collection to fully represent Lundström’s brand of classic couture. Showcased garments included gloves, hats, impeccably tailored suits, and lavish gowns, exuding a sense of timeless elegance. Models walked the runway displaying a tapestry of textures; wool; silk; leather; fur; velvet; brocade and stunning jewellery by Anzie. Hair and make-up were sponsored by Orbite and MAC Cosmetics respectively, and footwear by Browns. 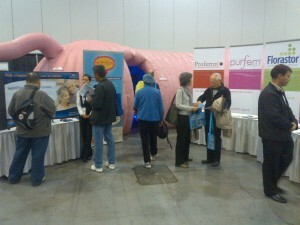 Held at the Vancouver Convention Centre, this was our second visit to the Zoomer Show. 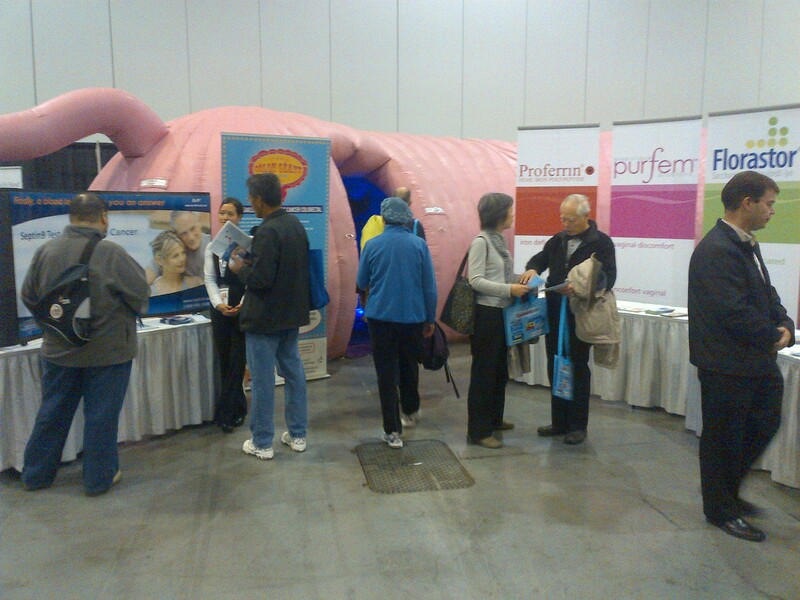 Over the two days, close to 1500 attendees passed through our GC, looking in awe at the various pathologies and asking a multitude of questions regarding colorectal cancer. CCAC would like to extend their appreciation to Mike Nguyen from Medical Futures and Judy Liwanpo from Warnex for their support in bringing the GC to Vancouver. A special thanks goes out to The CCAC’s newest member of the volunteer group, Deb Amada, herself a cancer survivor, who assisted Adrien with the display. Deb will also be promoting the Bum Spiel 2012, a curling fundraiser that will see all proceeds go to the Colorectal Cancer Association. While this visit took place at the West Edmonton Mall, it was held in conjunction with the Edmonton Patient Information Session at the Cross Cancer Institute which in itself was a great success. 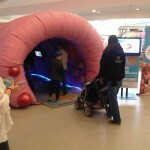 Ron, our Exhibits Manager, was assisted by a great group of volunteers from the Edmonton area as thousands of visitors passed through The Giant Colon. 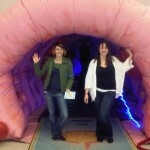 Our volunteers are an integral part of Giant Colon visits and CCAC is very appreciative of their efforts. 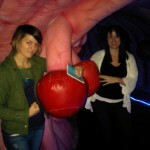 Also taking the time to drop in during our visit were some former medical conference attendees who were quite impressed with the display and its educational benefits. The CCAC’s fashion gala, “An Evening of Luxury,” will feature the Canadian LUNDSTRÖM COLLECTION in its Quebec premiere on November 15, 2011. Held at Le Windsor, the event, composed of a cocktail-dînatoire and European-style couture show, aims to transform fashion into a pure sensory experience to benefit the CCAC’s many awareness, education, support and advocacy initiatives in Quebec and across the country. 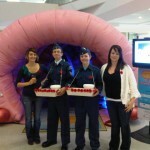 Colorectal cancer is the second leading cause of cancer deaths in Quebec and Canada, affecting both men and women almost equally. The gala celebrates CCAC triumphs in prevention and provincial colorectal cancer screening programs and emphasizes that there is still much more to be done in the fight against this Preventable, Treatable and Beatable disease. “Our annual gala helps spread the knowledge of a disease that has taken far too many lives, simply because too few people are willing to talk about it. Support of this event will help us continue to make a difference so that one day, we can say, we beat this disease with style,” said Barry Stein, President, CCAC. 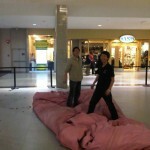 The “Evening of Luxury” event follows the success of the CCAC’s award-winning online 2010 campaign www.getyourbuttseen.ca. Sophistication, luxury and glamour can be used to describe the runway’s portfolio that will highlight LUNDSTRÖM’s 2012 collection. 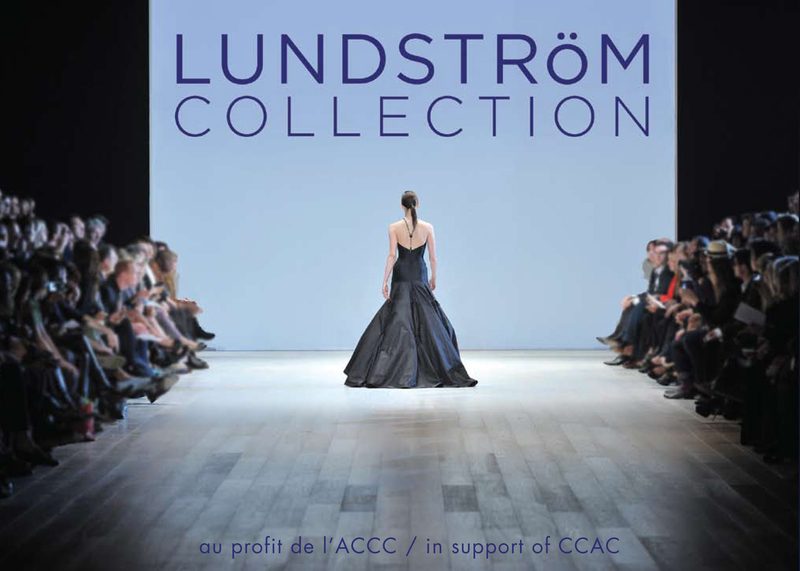 “Eleventh Floor Apparel Ltd. (EFA) is extremely pleased and deeply honored to have our LUNDSTRÖM COLLECTION showcased at the CCAC’s fashion show, and to be partnering with such an esteemed association for a great cause,” said Tamar Matossian of EFA.